Harley Street Maxillofacial Clinic opened in 2012. 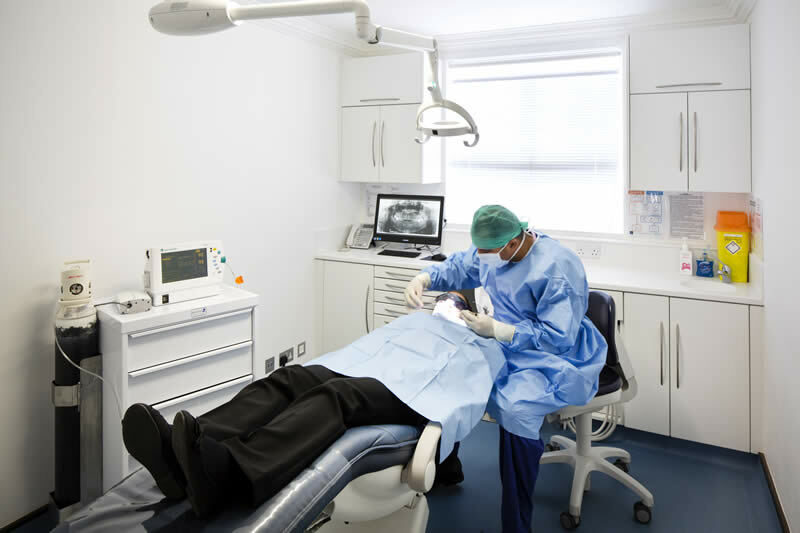 Our consultants had already worked in Harley Street practices, their wish was to create a centre dedicated to oral and maxillofacial treatment. State of the art facilities were the first priority, for consultation, radiology and day surgery. We have admission rights at the Wellington Hospital and Hospital of St John & Elizabeth for longer term treatment, although much of the care we provide does not require a hospital stay. This leaves us in control of appointments and treatment schedules, helpful to our busy patients. They can also be assured of the finest equipment and staff who are entirely comfortable with this. You are welcome to see further information on our consultants. Leaders in their field in oral, or maxillofacial surgery, orthodontics and highly specialised areas, such as orthognathic jaw surgery. To build a first rate clinic, nursing and other support staff must be able to operate to the same standard within their professions. An aspect we devoted time to, with a careful selection process. In return, we have a team who believe in excellence, show unending commitment to their patients and loyalty to our clinic. Staff changes are a rare event. None of us rest on our laurels, ongoing professional development is essential and encouraged. The continuity we enjoy is still a pleasure and contributes to a high level of care. Our consultants share knowledge through the media, yet are dedicated to individual patients. People come to us for a single dental implant, or significant facial surgery. Our ethos ensures they always receive full support. Part of our reason for opening Harley Street Maxillofacial was to ensure this happens. Whilst their treatment may vary, this will be just as important to the person concerned. We treat adults of all ages and offer childrens maxillofacial care, from a difficult tooth, to complete facial reconstruction. All patients seeking specialist support are made welcome. Each should receive the unique care they wish for and their condition requires. Time, cost, ease, or difficulty of treatment should not be factors. Dedication to patients means all patients, from the time you need to talk through your needs, to straightforward, or complex support. We love working at our clinic because of this and because of the results individual care brings.